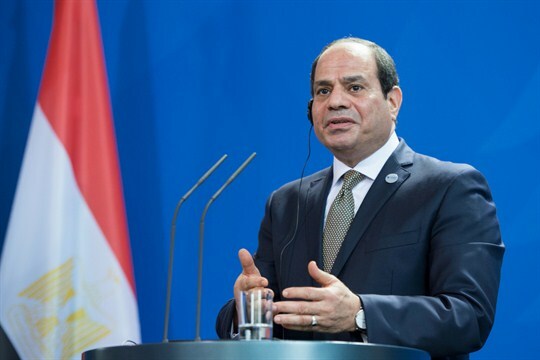 A committee in the Egyptian parliament recently concluded its work on the tenure of President Abdel-Fattah el-Sisi and came out with a recommendation that the president should get a third term. The constitution stipulates two terms of four years each for the president of Egypt. General el-Sisi began his stewardship in 2014. He was returned June last year for a second term, which ends 2022. Now the movement for President el-Sisi’s tenure elongation seems to be from two fronts. A group of enthusiastic citizens with posters and pictures of President el-Sisi in a peaceful protest went to the Court of Urgent Matters asking that the president’s tenure be reset so he could serve three terms. These citizens got Lawyer Ayman Abdel-Hakim Ramadan to file a case demanding that the Egyptian parliament debate the two-term limit with a view to amending Article 140 so as to extend the presidency tenure to three terms. The proposed amendments are already submitted to the Speaker of Egypt’s Parliament although it needs the approval of two-thirds of the parliament for it to become law and must be approved by a referendum. About 125 of the 596 members of parliament have signed the petition and are still debating the extent of the changes – whether it begins with el-Sisi’s second term alone or apply retroactively to his first term. The amendments are expected to pass, with the assembly packed with el-Sisi supporters. Even so, the elongation of the president’s tenure has its critics. Indeed, a senior leader of the Dignity Party has said that eleven secular and left-leaning parties met last week and declared their opposition to the amendments. The group went further to establish a “union for the defence of the constitution.” But observers worry that the opposition is too weak to be able to stop the changes especially at a time dissent is severely punished. President el-Sisi is on record to have promised not to amend the constitution, not to accept to serve a third term and not to be a “pharaoh.” We hope he resists the flattery of the court and sticks to constitutionalism. Egypt’s history of sit-tight leaders is well known. Even if el-Sisi remains in power till 2034, as feared by critics, it would mean 20 years in office as president. President Hosni Mubarak did 30 years and could only be removed by a revolution. Indeed, his son Jamal was already being positioned to replace him the way Bashir al-Assad replaced his father in Syria. Egypt has not been a particularly shining example of a democracy, having almost always been ruled by military dictators for nearly 70 years beginning with Nasser. The Morsi administration was a one-year experiment undermined by fascist elements and destroyed by power-hungry military officers. Africa has had enough of autocratic rule which yields nothing but corruption and incompetence. Egypt’s economic problems and its roughhouse with terrorists in the Sinai need more deliberation than firepower. We must learn to stick with constitutional terms of office because it enables fresh thinking, new ideas, dynamism and common sense. A third term for el-Sisi ought to be an embarrassment for Egyptians as it is for all Africans.